We are authorized NEC business telephone system dealers, who handle cabling, system installation, programming, voicemail and applications including VOIP. 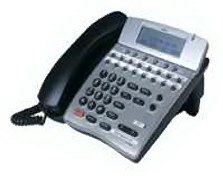 We have been providing and servicing business telephone systems in the New York Metropolitan area for twenty years. Our client lists have included doctors, law firms, hospitals and corporate headquarters, factory outposts, 3 phones or 300 phones and even a simulated telephone system for Nuclear Power Plants. If it's been done, we know how to do it. - Cabling: Category 3 5, 5e, 6, Feeder, Outdoor, etc.